and tree root removal in NJ, at 201-645-0888. 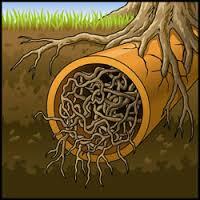 Tree roots enter sewer pipes through small holes and cracks, clogging or damaging the pipes. line. I see there are some big trees here and there are some trees down here as my sewer camera shows. 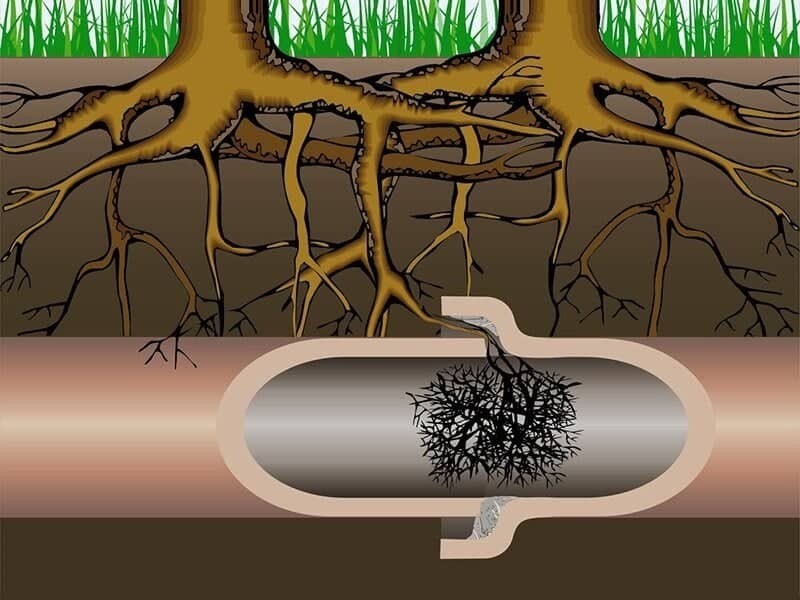 We can use hydro jetting for sewer cleaning, removing stubborn roots from sewer pipes and drain lines. 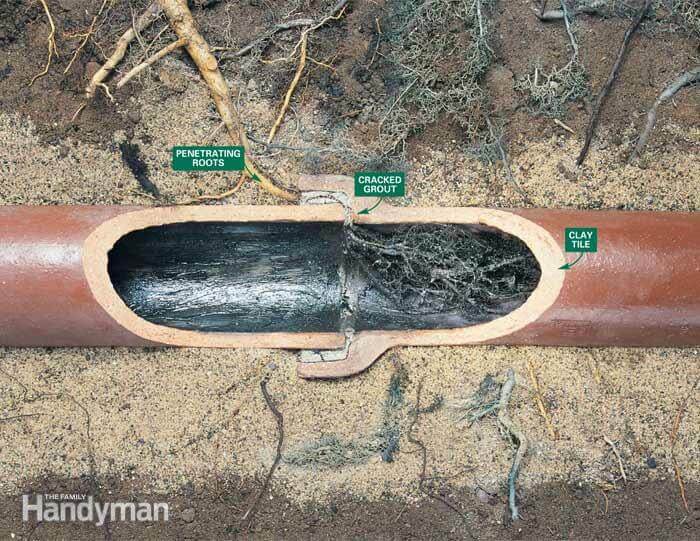 If the pipe is badly damaged, we can patch it with trenchless sewer repairs. We’ll find out where when we see where the lock is. This is our hugest snake, it’s 600 pounds and it’s automatic to clear a blocked sewer pipe. Also, you need to realize that the T here is very sharp, very tight so you don’t lose this into people’s sewage and create another problem. We’re just about ready to start the process and you see there is water down in here and this will all go away once the snake hits the sewer pipe blockage. We get its little head in first and we just start it. And the snake is going down now. 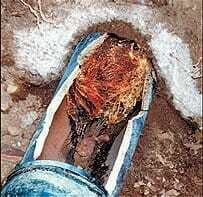 Sometimes, the sewer blockage is very stubborn and it will be very hard to clean. And sometimes it really will be like a snap job. You see the water runs a little deep. The water is just going to empty and the snake is actually marked every few feet, you can see the markings here. The water is still there, so the blockage is still there. The sewers will be nice and clean. You see how the water went down really fast? Basically we hit something and the water just went down. This is going to be something really huge and I think there’s a about a quarter of the cable in down there. It’s one of the very best in the industry out there. So It’s already clean and as you see the water is already gone. And as you see, we’re just going to snake it a couple more times and it’ll go from there. 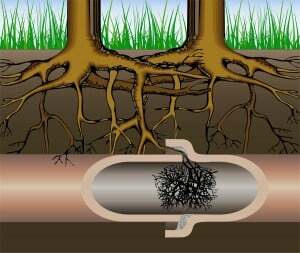 Tree roots can do more than just clog your sewer line. They can also cause the pipes to crack or collapse, in which case you’ll also need professional sewer repairs or sewer replacement. 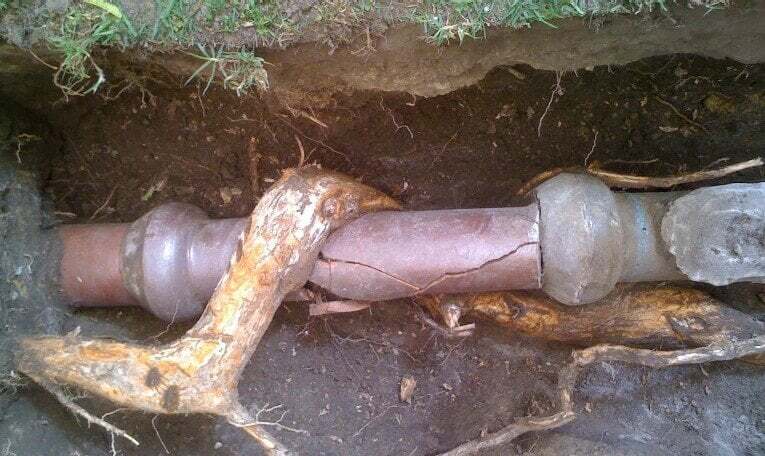 In most cases, NJ plumbers nj can use trenchless sewer repair techniques to fix or replace damaged pipes. 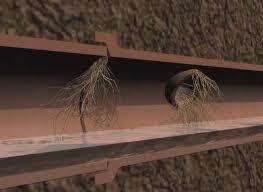 Pipe lining is commonly used for sewer repairs in NJ. We can install a new resin and fiberglass liner to stop water leaks from the sewer pipe. Pipe bursting is a trenchless sewer replacement nj option. We use a hydraulic bursting head to fracture the old pipe outward, and a cable pulls a new pipe into place behind it. At A1 Sewer & Drain Services, we provide sewer repairs, sewer replacement, sewer installation, and more in north NJ. Call us any time at 201-645-0888. Call us today for free advice and we will be happy to help.